It’s good to see a move towards asset-backed Sukuk rather than asset-based Sukuk, which are obviously more close to the spirit of the Shariah. In asset-backed Sukuk, investors become owners of the underlying assets in case of default, whereas asset-based Sukuk give no such recourse. DUBAI, Jan 10 – Investor worries over the impact of defaults in Islamic bonds is driving a push for a better structure for asset-backed instruments that should help alleviate concerns, bankers and lawyers said. Islamic finance industry body IIFM is looking to develop a template in 12 to 18 months that will help reduce some of the legal and operational complexities surrounding asset-backed Islamic bonds, or sukuk, said its chief executive Ijlal Alvi. The Nakheel property arm of Dubai’s state-owned conglomerate Dubai World [DBWLD.UL] staved off default on a $4.1 billion Islamic bond after a last-minute bailout from Abu Dhabi in 2009, after Dubai World announced plans for repayment on $26 billion in debt, spooking global markets. Also still ongoing is Kuwait Investment Dar’s <TIDK.KW> discussions with creditors over a $100 million sukuk it defaulted on in 2009. Asset-backed sukuk are seen closer to the spirit of Islamic law as they involve a transfer of tangible assets — investors become the legal owners of these in the case of default. Investors were taken aback as they realised the majority of sukuk were asset-based and that these could not be accessed directly by sukuk holders following a default. As investors cried foul, market watchers hoped the industry would shift toward a securitised model, but that has yet to happen, as more than 90 percent of transactions are still structured as asset-based sukuk. “While asset-backed transactions, both conventional and Islamic, have been done in the Gulf, they are more difficult and costly for companies to undertake,” said Gregory Man, senior associate at Clifford Chance in Dubai. He added that such transactions also face tougher legal and analytical requirements imposed by rating agencies and many companies in the region lack sufficiently robust internal systems to service and report on the assets to investors and agencies. A master agreement would aim to provide a standardised base from which issuers could structure the sukuk in line with their own jurisdictions and increase awareness about the product. Despite the challenges, companies would look to issue more asset-backed sukuk if investors demanded it, bankers said. “Among investors, there is still no real drive to do it,” said one Gulf-based Islamic banker. “Much of the corporate world comes from a conventional background so asset-based sukuk is closer to the debt model they are used to working with. 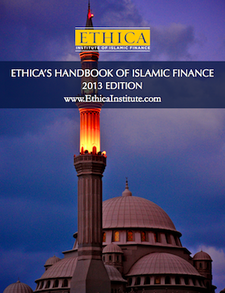 This entry was posted in Challenges and criticisms, Current trends and news, Sukuk and tagged Islamic Banking, Islamic finance, Sukuk, Taqi Usmani. Bookmark the permalink. is islamic banking and finance system is suitable for pakitan to remove disparities? here is a conference where lots of scholars are going to deliver lecture. what you think we should attend this conference or not? plz reply something.